Protests are growing among women now in their early 60s who find their state pension age receding fast as they get older. Although Britain’s first old age pensions, from 1908, were payable only over 70 years old, for many decades after Labour’s welfare-state reforms from 1945 the pension age seemed fixed at 65 for men and 60 for women. Read more about USS strike ballot: Vote No! See more coverage of student protests here. 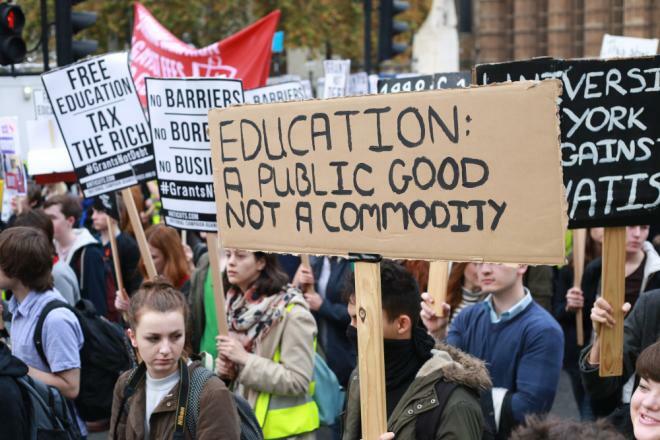 As Solidarity goes to press, staff at 64 universities are on the fourth day of strikes over pensions which began on Thursday 22 February. Seven more universities are due to join in coming weeks. 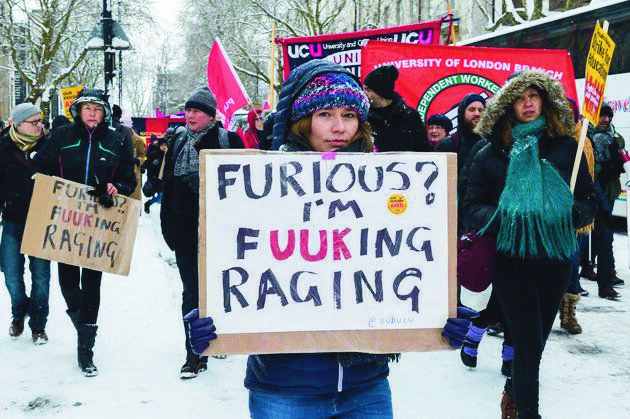 There has been a strength of feeling on the picket lines unprecedented in recent university disputes. 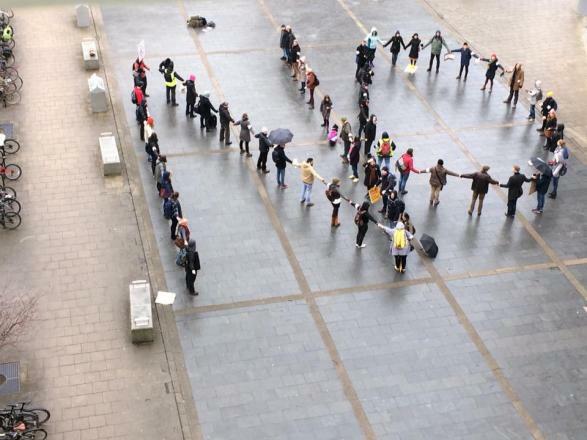 A thousand people joined a protest at Bristol, and at many other campuses numbers have been in the hundreds. Read more about Unions must fight pension age increase! On 22 March, Brazil’s coup government of Michel Temer brought forward a law, previously shelved, to legalise the expansion of outsourcing. Businesses will now be able to outsource workers for their primary activity (for example, teachers in a school). Government owned institutions can now use sub-contractors, opening the door for private sector interference in nationalised sectors. Read more about Defend EU migrants’ right to stay!